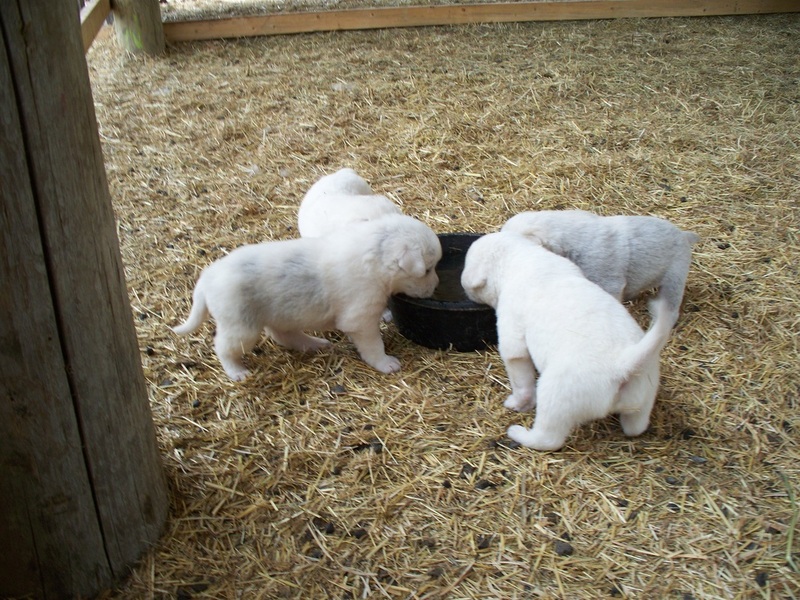 Thank you for visiting our LGD page. 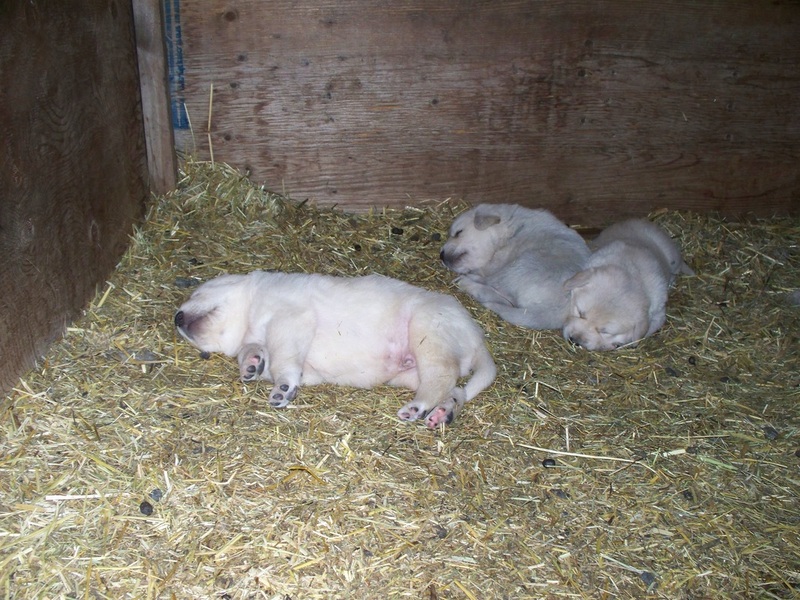 Harmony Farm no longer offers dogs for sale. We hope you enjoy the tour through the pictures. 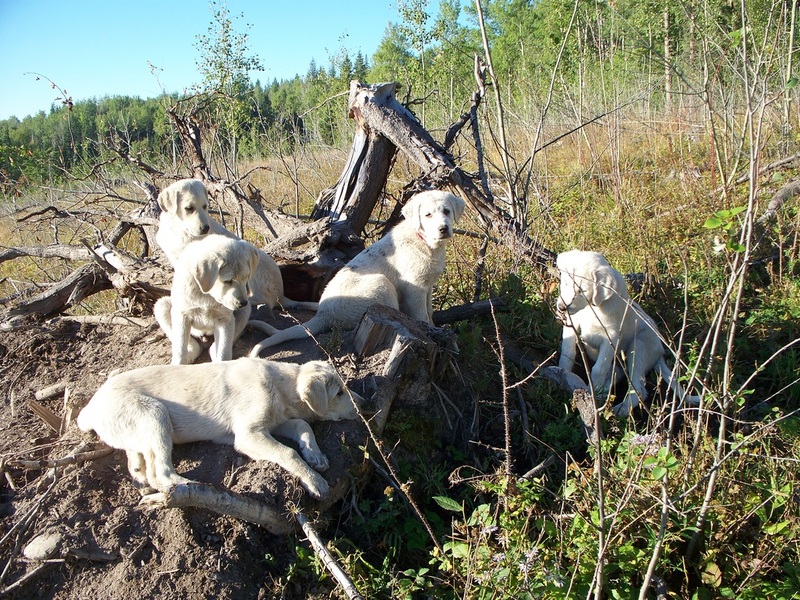 Our small holding is surrounded by bush and backs on to a mountain, home to black bear, cougar, coyotes and timber wolves, not to mention the occasional wandering dog pack. 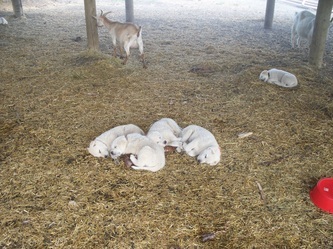 Goats and sheep are particularly vulnerable to predation. Harmony Farm would not be able to sustain a thriving herd as we do, without our Livestock Guardian Dogs. 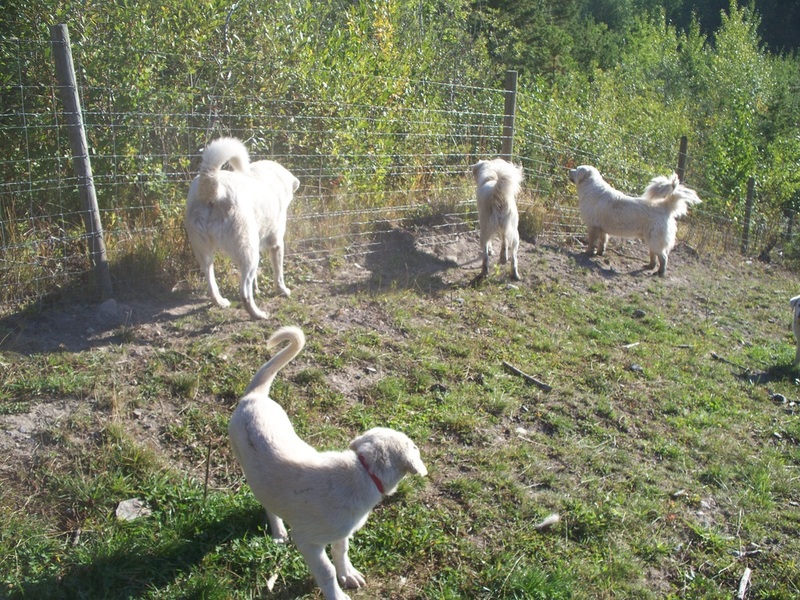 Sound guardian instinct equals security for our farm, so we have sought dogs from proven livestock guardian stock (versus simply registered or purebred animals). Our pack consists of Akbash, Akbash/Pyrenees and Maremmas. While these are all friendly, affectionate, loyal and gentle dogs, they are not pets nor obedience dogs. They live with their wards 24/7 and manage their work and schedule as a pack, without human direction. 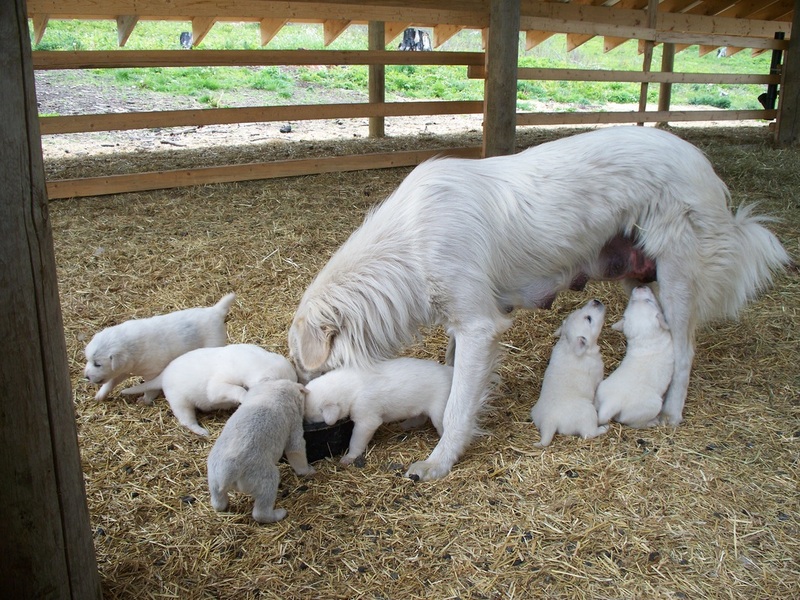 We have great respect and gratitude for the livestock guardian dogs' unwavering service. 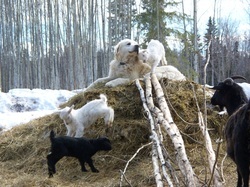 The goats and sheep (and their people) rely on livestock guardian dogs for safety. Without these gentle, loyal animals, the small ruminants would be utterly vulnerable to black bear, cougar, coyotes, dog pack and wolves.